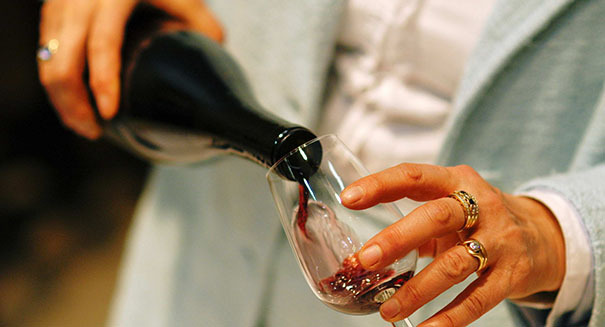 Red, Red Wine, Good or Bad for you? Scientists and researchers are debating the benefits or detriments to drinking alcohol. Throughout history, the drinking of red wine has been celebrated and demonized at different times, so what is the current status of the beverage? According to an article on cnn.com, recent claims that red wine, or in particular resveratrol found in red wine, can help you live longer, prevent cancer, or cure Alzheimer’s, are overshadowing some of the proven benefits of the beverage, used since ancient times as a more hygienic alternative to contaminated drinking water, and has actually been added to water as an anti-microbial agent. Near the end of the 20th century, red wine was being touted as a great health benefit for preventing heart disease and strokes, although more recent studies are saying other alcoholic drinks, such as beer and hard liquor, may provide similar benefits. Dr. Howard Sesso, associate professor of medicine at Brigham and Women’s Hospital in Massachusetts said there may be some some benefits from drinking red wine containing resveratrol for heart health as compared to other diseases, adding there is evidence in place that red wine does help prevent heart disease, diabetes and some other vascular problems. But the claims about cancer and dementia are not quite so clear. Studies have been undertaken that say the consumption of red wine increases the risk of illness, while others still found the statistics to say the risk decreases with consumption. On of the most recent studies linked red wine to a greater risk of some cancers related to alcohol consumption, like breast and liver cancers. Earlier this year, a study by Harvard researchers found that healthy middle-aged women who drank about a half-glass of alcohol per day, had a 13 percent higher risk of getting certain types of cancer, and men who drank a couple of glasses a day were 26 percent more likely to develop liver, colon, or esophageal cancers. But, experts say, unless you have a medical condition or a predisposition to alcoholism, a glass of wine or alcohol a day may provide you with some hearth healthy benefits. Of course, too much drinking can lead to many other problems, such as liver disease and issues with domestic violence, making doctors reluctant to advise their patients to drink even small amounts of alcohol. In other words, heavier drinking carries a heavier risk and experts are saying the key to receiving any benefits from drinking red wine or any other beverage, is keeping alcohol consumption under control.